Snowman is a small game studio at the centre of artful experiences. Whether as a developer or creative partner, our goal has always been the same: to create meaningful experiences that you may sit with for a short time, but that sit with you for a long while. We are looking for a 3D Environment Artist to help craft a new game at Snowman. You’re joining a very small but world-renowned team based in Toronto. We’re flexible on hours, work location (you can work from home when required), and we’re not micromanagers. We want you to be able to make decisions on your own. Proficient in the use of Maya (or 3D modeling package), Photoshop, ZBrush/Mudbox, and Texture creation/Material editing (Substance Painter/Mari/Unreal/Unity). This new game will be made with Unity3D. This job will be based out of our studio in downtown Toronto. Experience and drive are more important than fancy school degrees. If you’re looking for something fun and exciting that isn’t your typical game studio job, get in touch and show us your work! Snowman is looking for a creative, multi-talented 2D Animator to help us bring our new project to life with hand-drawn, traditional animation. The ideal candidate will be highly motivated, passionate about artful experiences, and able to contribute positively to our projects and work environment. Suited to contribute and enhance our vision through whimsical, thoughtful animations, you own your own work and are eager to make something special. Job Type: Full-time, starting April 1st 2019. Bonus - It's nice to have, but not required! Apply Now with your resume and portfolio. We’re looking for an energetic, ‘jack-of-all-trades’ to join our team as an Operations & Communications Manager. If you’re someone who’s vigilant at getting things done, are motivated by managing multiple projects at once, and have leadership skills to inspire, we’d love to hear from you. You’ll work closely with our production teams, key business partners and members of the press to grow new projects and opportunities for the studio. All applicants should include a personalized cover letter. Tell us something about yourself that we can’t find on your resume, and let us know why you’re the best person for the job! 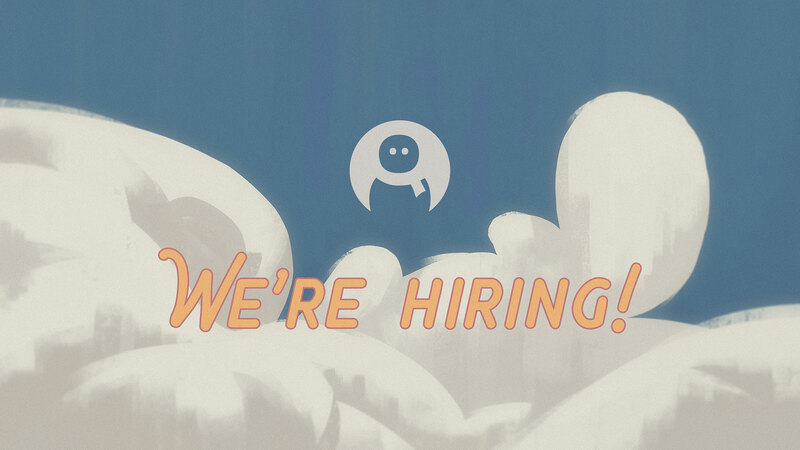 We’re looking for a multi-talented Studio Coordinator to support our fast-growing indie game studio in Toronto. If it’s in your nature to take care of people and you’re motivated by organizing the chaos, this role is made for you. You’ll help our office run smoothly and keep our teams organized. You’re a self-starter who thrives in fast-paced environments and is at home juggling many projects at once. Organize and oversee the day-to-day in the office, including managing supplies, hardware and software, office space, etc. Bonus - It’s nice to have, but not required! All applicants should include a personalized cover letter. Tell us something about yourself that we can’t find on your resume, and let us know why you’re the best person for the job! Applicants must legally be allowed to work in Canada.